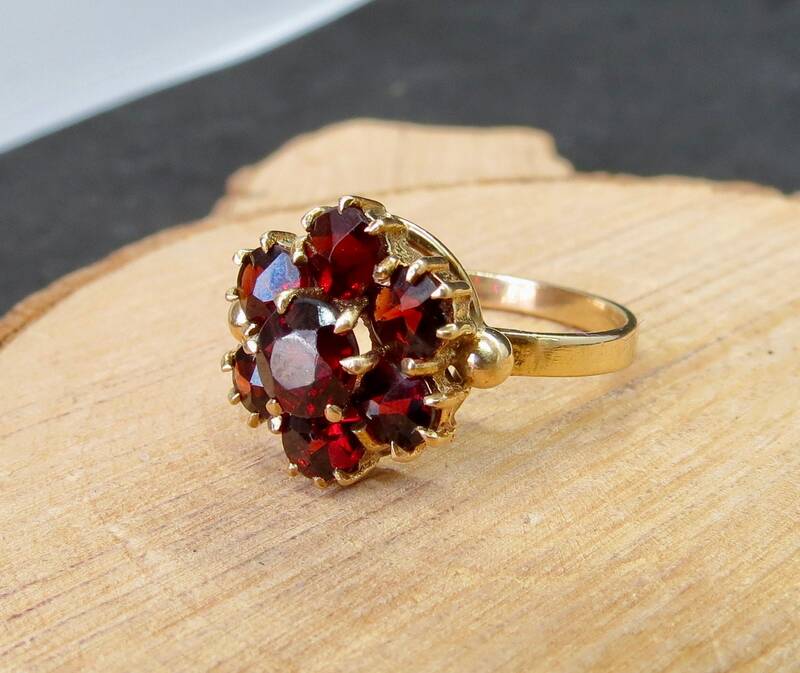 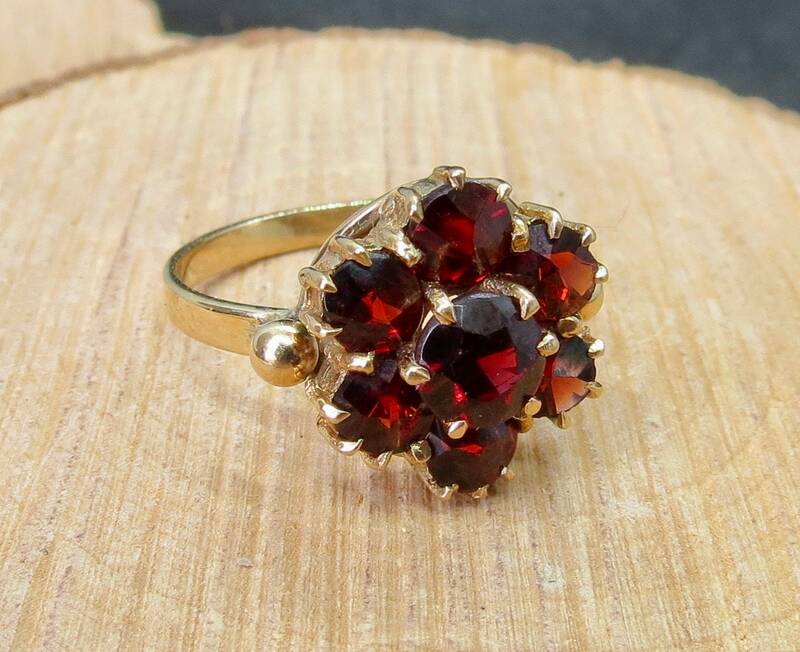 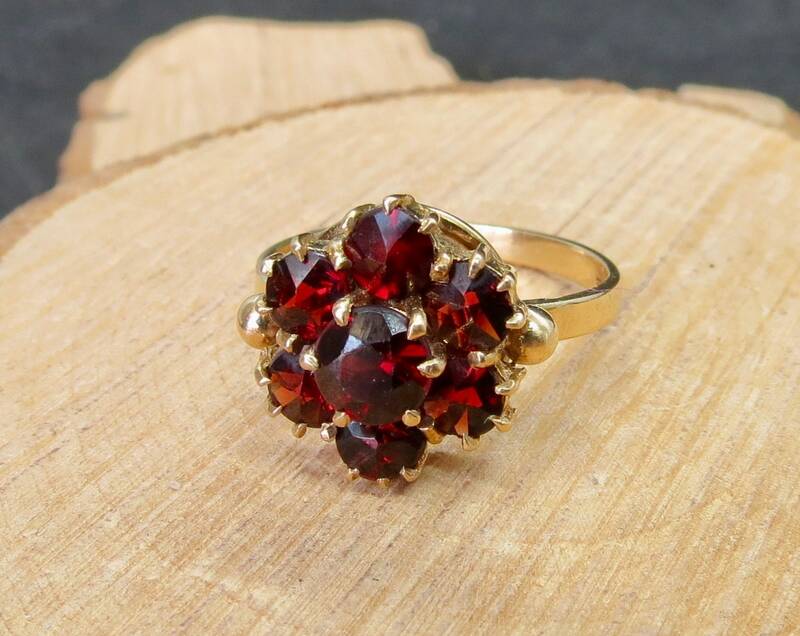 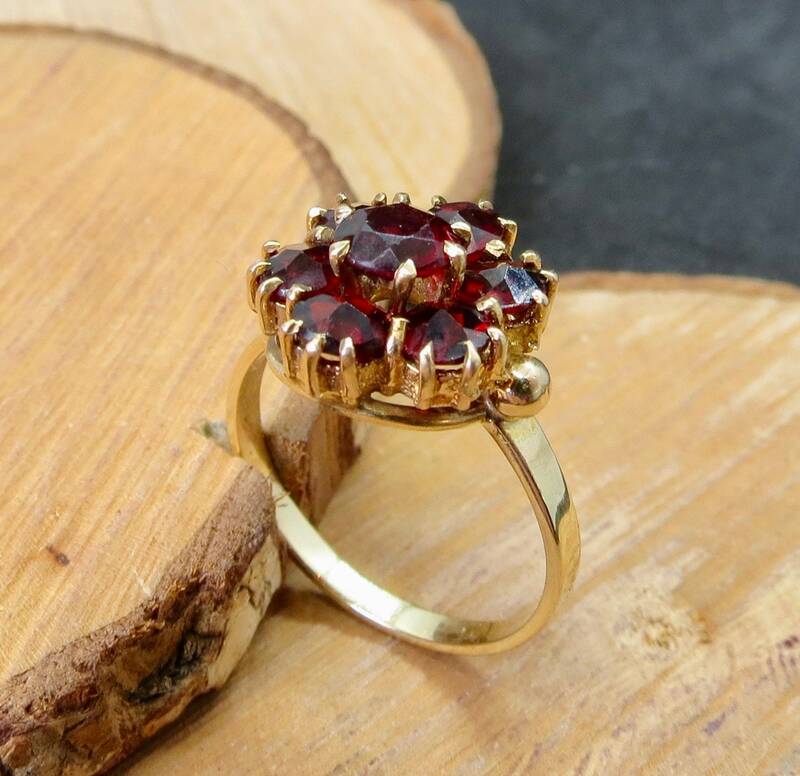 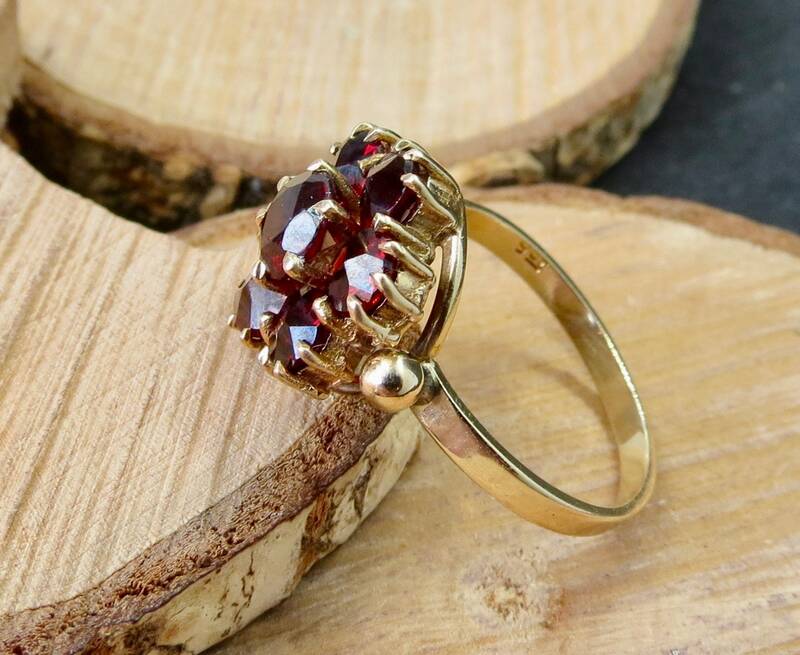 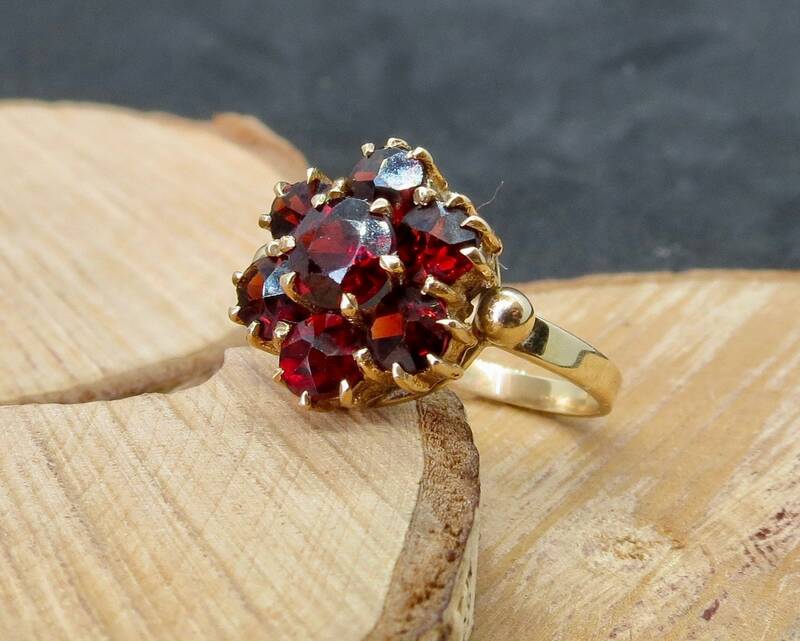 This vintage 9k yellow gold ring seven red garnets, the lower tier all rose cut, and the central stone round cut. 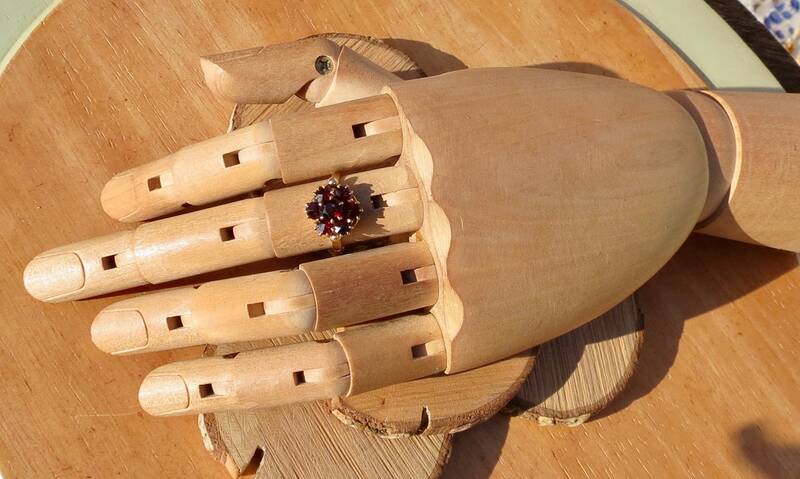 Bead set shoulders lead to a plain band. 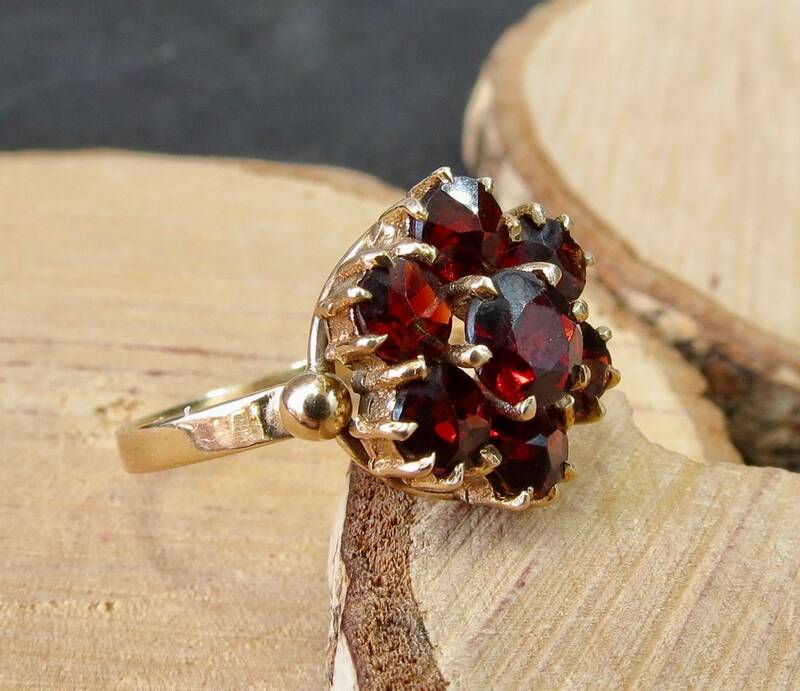 The setting is 1/2 inch wide (12.5mm) and 1/4 inch high (6mm). 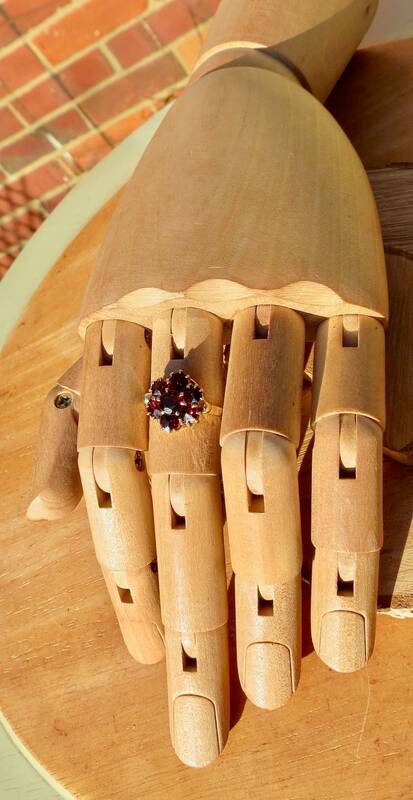 The band has a 9K gold stamp.